Engineering geology is an obligatory stage of preparatory work for any construction. Each facility, regardless of destination, should be solid, sustainable, must be selected the right type of foundation, which will have long-term incident-free service life of such structures. The main purpose of the soil investigations is to determine the basic physical and mechanical properties of the basement soil in order to establish the conditions for the construction of engineering structures (bridges, buildings, roads, dams, etc.) and the nature of activities to ensure sustainability of the natural earth ground. Carrying out geological work at the facility is necessary in order to determine the most correct design solution, which in turn will provide a high serviceability of structures, while minimizing costs, based on site-specific conditions. 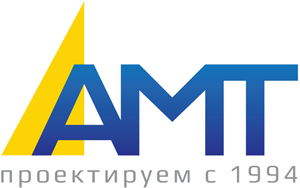 The firm “AMT” LLC performs a full range of work related to engineering geology. Starting from the drilling and sampling up to the laboratory tests, with the subsequent issuance of conclusions about the foundation soil. Extensive experience of professionals who have degrees in soil mechanics and engineering geology will make the correct and most appropriate choice for the customer in the design of industrial and civil objects. Cooperating with us, you will see for yourself.